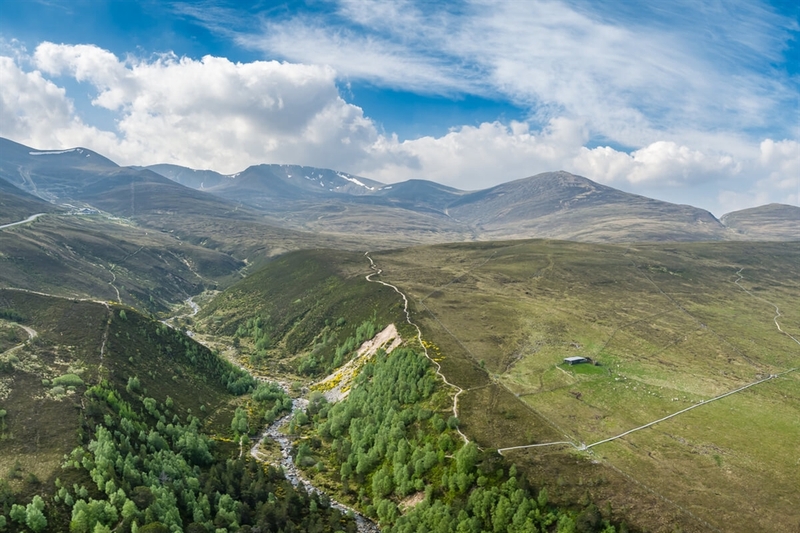 Located at the foot of the Cairngorm Mountains, this magnificent forest park is well-known for its Caledonian pinewoods. A highlight of the park is the beautiful pine-fringed Loch Morlich with its long sandy beach cradled in the middle of the forest. 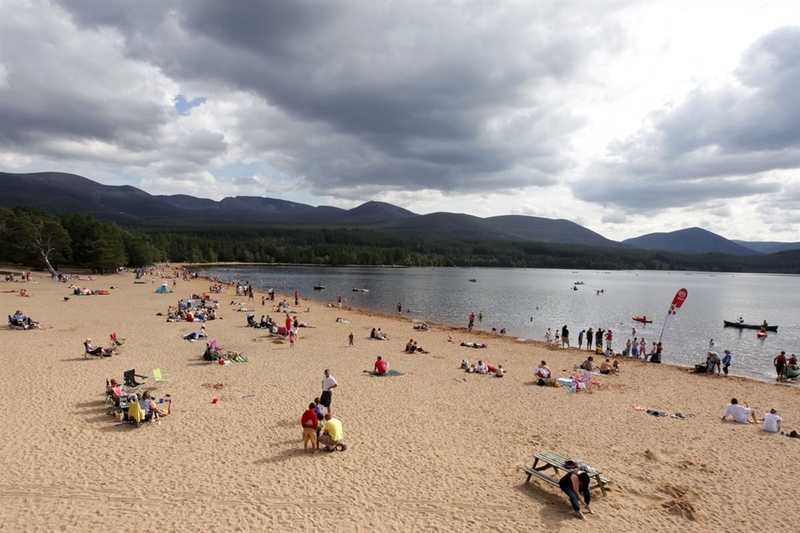 Loch Morlich has been awarded a Rural Beach Award by Keep Scotland Beautiful. 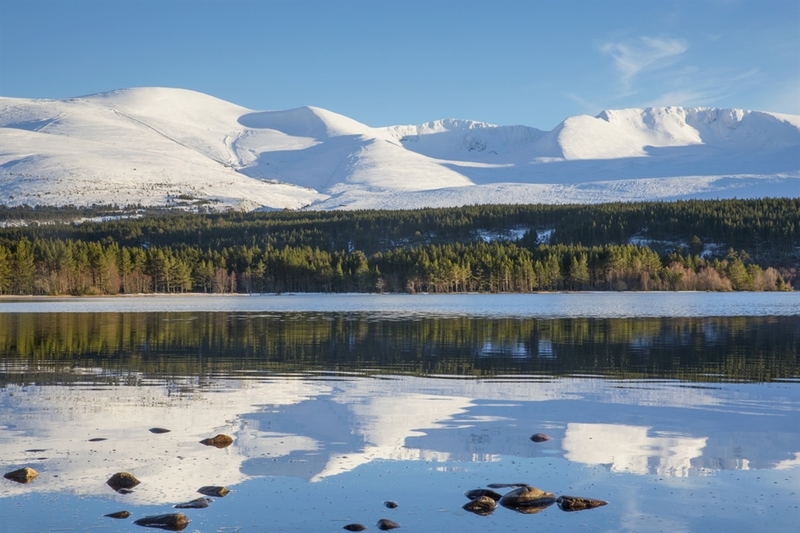 This award is based on continuing ‘excellent’ water quality of Loch Morlich. This is the first and only freshwater inland loch to have gained this award in Scotland. Another gem is the Pass of Ryvoan. It consists of ancient pine trees, a green lochan and a delightful trail that winds its way along the juniper clad hillside - a good spot for primroses in the spring. The park attracts over 250,000 visitors each year, who come here to sample the wide range of outdoor activities on offer or simply to relax in the seclusion and grandeur of the native pinewood. The park’s extensive network of forest trails is superb for walking, mountain biking and, in winter, for cross country skiing. 6 miles from Aviemore, on the road to Cairngorm Mountain.